M J Groundwork Services was established in 2014, since when we have been providing essential groundwork and building service to our clients in Theydon Bois. These range from digger and mini-digger hire services, to house extensions and septic tank installations, and everything else in between. So whether you need to install a new drainage system, landscape your grounds, or dig a hole for a pond or swimming pool, you need look no further than us, your local groundwork specialists. 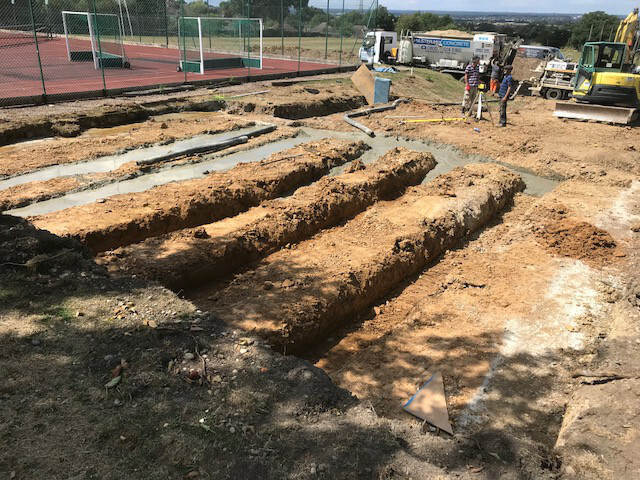 Groundwork involves preparing the ground for later construction work, be that the installation of a septic tank, or the building of a house extension. Whatever your current project, we are there to assist you. At M J Groundwork Services, we have decades of experience with all kinds of house extensions, from garages to granny flats. We have a wide range of digger and mini-digger hire vehicles if you are overseeing a project on your own. Each digger comes with a member of our team to operate the vehicle, ensuring a competent and safety conscious job. For health and safety reasons, it is important that septic tanks are installed by experienced professionals, and you would be hard pressed to find more experienced septic tank engineers than us in Theydon Bois. As well as digger and mini-digger hire, house extensions, and septic tanks, our Theydon Bois clients have benefited from our wide range of other groundwork services, including drainage, driveways, tree stump removal, patios, ponds, swimming pools, horse riding ménage, landscaping, fencing, demolition, and retaining walls, among others. We are based in Sawbridgeworth and cover most of Hertford and Essex, including Chigwell, Romford, Brentwood, Epping and, of course, Theydon Bois. We have been trading since 2014, delivering groundwork services to our Theydon Bois clients. Our team of construction experts bring over five decades of experience with them to every job we take on. 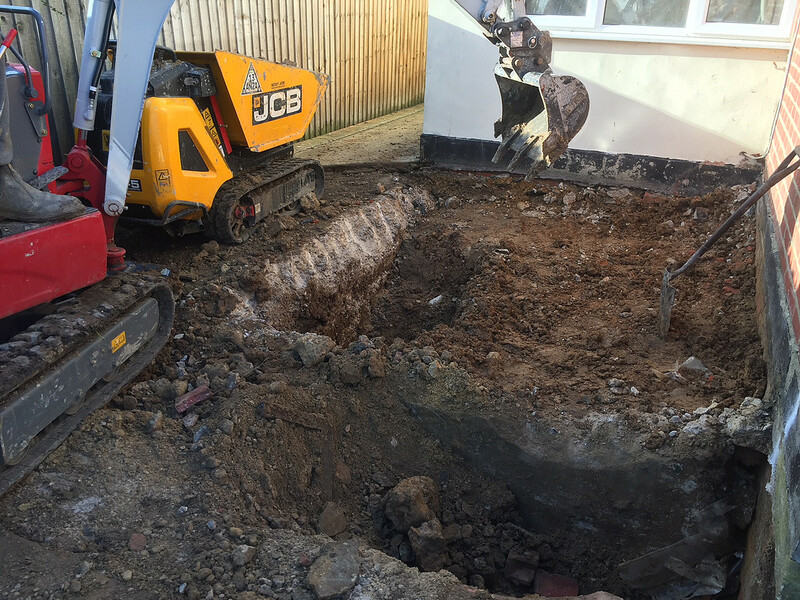 For all your groundwork needs in Theydon Bois, from digger and mini-digger hire, to house extensions and septic tanks, contact M J Groundwork Services today on 07885 577 899, for a free quote.